In early 2015, the U.S. Supreme Court held in North Carolina State Board of Dental Examiners v. FTC that the “active state supervision” prong of the state-action immunity from antitrust liability test applied to state licensing boards controlled by market participants. You can read my analysis of the decision here. And you can read the amicus brief that Bona Law filed in the case here. Update: The FTC applied its Active State Supervision criteria in an enforcement action against the Louisiana Real Estate Appraisers Board. I have written quite a bit about state action immunity and the NC Dental case, so I won’t give a lot of background here. You can read my prior articles. But here are the basics: Not surprisingly, state and local governments often engage in anticompetitive behavior. Sometimes this includes conduct that the federal antitrust laws prohibit. But, owing to federalism and the fact that governments get away with things they shouldn’t, sometimes state and federal governments have a get-out-of-antitrust-liability card called “state-action immunity.” Like all antitrust exemptions, Courts interpret the scope of state-action immunity narrowly. In most situations, a state or local government seeking state-action immunity must demonstrate that (1) the state sovereign—usually the legislature or state supreme court acting legislatively—clearly articulated and affirmatively expressed the challenged restraint as state policy (See Phoebe Putney); and (2) that the state actively supervises the anticompetitive policy. Before the US Supreme Court decided the NC Dental case, it was an open question whether state licensing or regulatory boards were required to show both prongs of what is called the Midcal test, or just the first prong. That is, it wasn’t a given that these state boards had to show active supervision. I addressed that very issue in a law review article, which you can read here. But apparently my article wasn’t enough to end discussion on the issue, so the US Supreme Court went ahead and addressed it in the NC Dental v. FTC case. The Supreme Court in NC Dental went on to hold that a state board on which a controlling number of decision-makers are market participants in the regulated occupation must satisfy the active supervision requirement to invoke state-action antitrust immunity. (As an aside, certain municipalities do not need to show active state supervision, but I suspect that courts will continue to narrow this exception. Luke Wake and I argued in another law review article that whenever the government entity becomes a market-participant, it should lose its state-action immunity entirely. I mention this here because it is often a local government entity that competes directly in the market and tries to invoke state-action immunity.). So we now know that anticompetitive conduct by state regulatory boards are subject to antitrust scrutiny unless they can show both prongs of the Midcal test, including active state supervision. But what is active state supervision? What is Active State Supervision for State-Action Immunity from Antitrust? Active Supervision is something that the US Supreme Court has on occasion addressed, but there isn’t a clear standard. It simply hasn’t come up enough to create a dense body of law. So the guidance is slim. “The Supervisor must review the substance of the anticompetitive decision, not merely the procedures followed to produce it; the supervisor must have the power to veto or modify particular decisions to ensure they accord with state policy; and the ‘mere potential for state supervision is not an adequate substitute for a decision by the State.’ Further, the state supervisor may not itself be an active market participant. In general, however, the adequacy of supervision otherwise will depend on all the circumstances of a case.” (citations omitted). But beyond this guidance—which is a collection of conclusions and quotations from prior cases—the question of what is Active State Supervision remains open. To help fill this open gap, the FTC recently released its own views on the matter: FTC Staff Guidance on Active Supervision of State Regulatory Boards Controlled by Market Participants. It is good reading. As I have described in the past, the FTC has over many years acted heroically in protecting competition from anticompetitive state and local conduct, including licensing boards. They have taken a leadership role in trying to keep non-federal government entities from allowing market participants to sabotage government for their own anticompetitive ends. This is important because there is usually an insufficient private incentive and payoff to making these challenges. So the “private attorney general,” that regulates private anticompetitive conduct by enforcing the antitrust laws isn’t nearly as active when it comes to public antitrust violations (which is too bad, in my view, because public anticompetitive conduct is both significant and more difficult to defeat with more competition). Given the FTC’s prior role in the development of state-action immunity law, it isn’t surprising that they offered guidance on active supervision requirements for regulatory boards. But it is welcome. Does the Regulatory Board’s Conduct Violate the Antitrust Laws? Before digging into what is active state supervision, the FTC staff offered some thoughts about whether certain agency conduct is, in fact, an antitrust violation. This brings up an important point: Not all actions by self-interested licensing boards are antitrust violations. I receive many calls about prospective cases. And I often hear about a situation where the board is unlikely to satisfy the standards for state-action immunity, but there probably isn’t an underlying antitrust violation anyway, so it doesn’t matter (at least to a potential lawsuit). The anticompetitive actions always matter to both the market and real people. The FTC listed a few scenarios (out of prior cases) in which a licensing board may, in fact, breach the antitrust laws: (1) a board controlled by dentists excludes non-dentists from competing for teeth-whitening services (NC Dental); (2) a board controlled by accountants determines that only a limited number of new licenses to compete in the profession can be issued each year (Hoover v. Ronwin); and (3) a board controlled by attorneys prohibits attorney advertising and deters attorneys from engaging in price competition (Bates v. State Bar of Arizona). 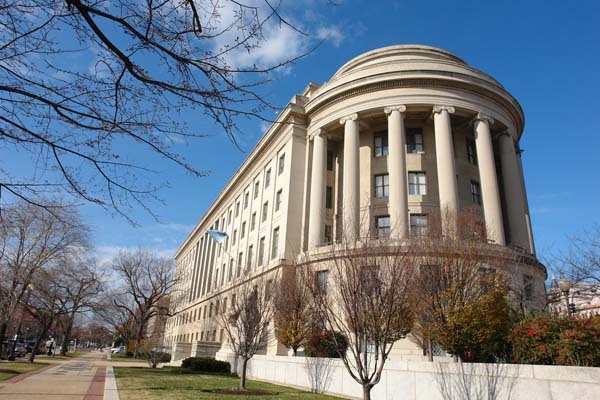 The FTC, however, went on to describe a few instances where there may not be an antitrust case. First, the FTC explained that “Reasonable restraints on competition do not violate the antitrust laws, even where the economic interests of a competitor have been injured.” They then offered examples where a board prohibited occupational members from fraudulent business practices or suspended them from substandard work. This type of conduct does not usually violate the antitrust laws. Of course, if a board suspends a license of someone that seeks to compete in a unique way because they are taking that competitive approach, the board may, in fact, be violating the antitrust laws. In that scenario, the licensing board could harm competition by precluding a type of business practice. The board’s action might deter others from that business practice and could, in that way, harm competition. This happens more than you’d think. Second, the FTC pointed out that “ministerial (non-discretionary) acts of a regulatory board engaged in good faith implementation of an anticompetitive statutory regime do not give rise to antitrust liability.” I suppose that makes sense: it is the statute not the board that creates the anticompetitive conduct. You may have to call your local legislator instead of filing a lawsuit. Third, the FTC states that “In general, the initiation and prosecution of a lawsuit by a regulatory board does not give rise to antitrust liability unless it falls within the “sham exception.” When I first read this, I took major exception to it because board prosecutions against individuals can certainly violate the antitrust laws if they were undertaken to preclude a class of competitors from competing in the relevant market. I would, however, not include within this point a situation where a self-interested licensing board starts the machinery of its own procedures against someone that drew their ire because of their approach to competing in the relevant market. In this case, the horizontal group of competitors control the entire game—they aren’t making use of an objective process like court proceedings. They drive the metaphorical car and if they decide to run over a competitor so like-minded other competitors stay out of their market, they should face the antitrust music. I see this scenario quite often. When is Active State Supervision of a Licensing Board Necessary? The reason licensing-board activity is often competitively suspect is because its members are also market participants in the subject matter of their actions. This is a conflict-of-interest that creates an incentive for anticompetitive conduct. This self-interested members have an inherent interest in excluding others from competing with them (or limiting the number of licenses to compete). Of course, it also isn’t surprising that a licensing or regulatory board of a profession would include members of an industry because those are the people that (1) have substantial subject-matter expertise; and (2) would have interest in serving on such a board (as it is rarely lucrative, from a direct pay standpoint). According to the Supreme Court in NC Dental, “[A] state board on which a controlling number of decisionmakers are active market participants in the occupation the board regulates must satisfy Midcal’s active supervision requirement in order to invoke state-action antitrust immunity.” (135 S.Ct. at 1114). This is a helpful standard, but we still need to understand (1) what are “active market participants,” and (2) what does it mean to have a “controlling number” of “decisionmakers” that are active market participants? Helpfully, the FTC provided us with some guidance. What are active market participants? According to the FTC, they are persons that (1) are licensed by the board, and (2) provide any service that is subject to the regulatory authority of the board. Thus, according to the FTC, “[i]t is no defense to antitrust scrutiny  that the board members themselves are not directly or personally affected by the challenged restraint.” This is an important point because many professions have subspecialties. The FTC also clarified that even board members that are temporarily not practicing during the pendency of their board participation are considered active market participants. Finally, the FTC clarified that the board-member method-of-selection—appointment, election, or some other method—is not determinative of whether a board member is an active market participant. If you followed the NC Dental case, you might recall that one option for the Supreme Court was to distinguish between appointed board members and board members elected by members of the profession. They chose not to decide along this distinction (which was the correct approach, in my opinion). Appointed board members often come recommended by interest groups. This is useful guidance because all of these issues are likely to arise in litigation. And I agree with the FTC’s conclusions. What is a Controlling Number of Active Market Participants? Your first thought might be that this is an easy question to answer—active market participants control a board when they have a majority of the seats on the board. Duh! That is true that they are controlling in that instance, but I give the FTC credit here for creating this guidance with knowledge about how these boards actually work. Let me explain: When a board includes both industry professions and others, the other members will, as a practical matter, defer to those with the industry experience on certain issues. So if the “experts” vote a certain way, the non-experts will defer to them and follow their vote. The FTC also brought up two additional factual possibilities that seem realistic: (1) active market participants might have veto power over a board regulatory decision; and (2) active market participants could meet or decide certain issues separate from the non-market-participant members. The FTC will thus apply a fact-based inquiry into the particular board and situation to determine whether the active market participants “control” the board. To decide the issue, the FTC will, for example, examine the “level of participation, engagement, and authority” of the non-experts on the board and whether their role differs from the active-market participants. I am not aware of any significant case law on this issue, so this guidance is particularly helpful. Given the excitement that NC Dental brought to anticompetitive state boards, it would not surprise me to see court development here. This guidance should be useful as persuasive authority in the early cases. But what, in fact, is Active Supervision? The Supreme Court hasn’t done a great job answering this question. As explained above, the NC Dental Court offered some thoughts, by piecing together prior opinions, but the law is still relatively open. We do know that it is a real requirement—rubber stamps don’t count. That is, any supervision must be substantive not procedural. And whoever or whatever is supervising the anticompetitive action must have the power to overturn or veto it. Ultimately, like everything else in law where there isn’t a clear answer, it depends upon the facts of the case. So the FTC’s guidance should help us here. First, the FTC set out the principles that will guide it (largely from prior case law). You can read the entire report for everything, but here are some examples: To determine whether there is active supervision, we must analyze whether the “State has exercised sufficient independent judgment and control” such that the anticompetitive act is truly the State’s own. This is consistent with my own view that both the “clear articulation” and “active state supervision” requirements are designed to assure that if there is an anticompetitive act, the State (as a sovereign) is, in fact, owning the act as its own as a matter of policy. Moving on, here is a very important principle, which I will quote directly from the FTC report: “The active supervision must precede implementation of the allegedly anticompetitive restraint.” So a later judicial or administrative review isn’t sufficient protection to invoke state action immunity. This is particularly important for quasi-adjudicatory anticompetitive conduct by boards that take an action that has an immediate effect, but try to argue that it will be reviewed after the fact. That isn’t enough. Second, the FTC outlined factors that will help it determine whether the challenged actor has satisfied the active supervision requirement. For example, the “supervisor” must obtain sufficient information to properly evaluate a regulatory board’s recommended action. Besides basic fact developing, this might include collecting data, conducting public hearings, inviting and receiving comments, investigating market conditions, conducting studies, and reviewing documentary evidence. Again, this is not a rubber stamp. Another factor is whether the supervisor has evaluated the substantive merits of the proposed action and applied them to standards developed by the state legislature. Once again, this fits the idea that the State as sovereign must “own” the anticompetitive action for the state-action immunity shield to apply. Finally and significantly, it matters to the FTC whether the supervisor has issued a written decision that approves, modifies, or disapproves the recommended action and explains the reasons for doing so. The FTC then went into a couple examples, which you can read on your own. What Is NOT Active Supervision of a State Regulatory Board Controlled by Market Participants? The FTC concluded its report by describing several examples that do NOT constitute active supervision, in its view (and the view of court decisions where some of the examples come from). The supervisor is controlled by active market participants. A state official monitoring or participating in a board that lacks the authority to disapprove anticompetitive acts. A state attorney general or other state official that provides ongoing advice to the board. When the supervisor has the ability to substantively supervise, but only does so in a cursory way. The supervisor reviews and approves actions without a substantive review. As someone that has spent a lot of time on state-action immunity and anticompetitive state and local government issues, I found the guidance to be interesting reading. For the most part I agree with the FTC’s conclusions, though I might be more aggressive in limiting state-action immunity myself. Indeed, I’d prefer that the doctrine were narrowed substantially and not applied to government entities that compete in markets. The FTC’s guidance here will be valuable for litigants (as well as state and local governments) because the law is limited in this area. I think that most courts would find these points persuasive if one of the issues in the guidance comes up. The FTC certainly has experience in this area. This was a really long blog post. If you made it this far, I congratulate you on your attention span. Now might be a good time to take a walk or move around a little bit. Thanks for reading.